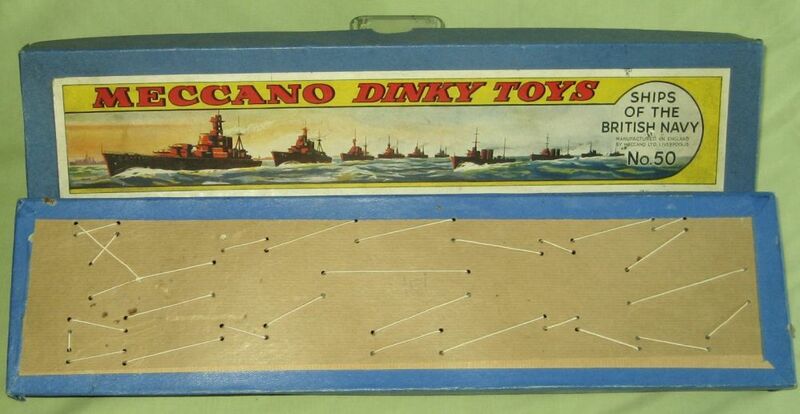 I wish to re-string a set of the Royal Navy ships in their original box. 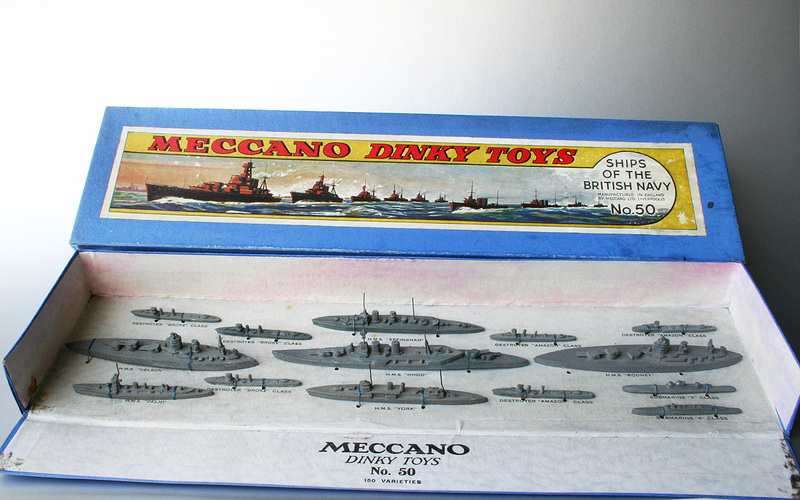 This is the second version of the box where the ships are held directly onto the bottom of the box. 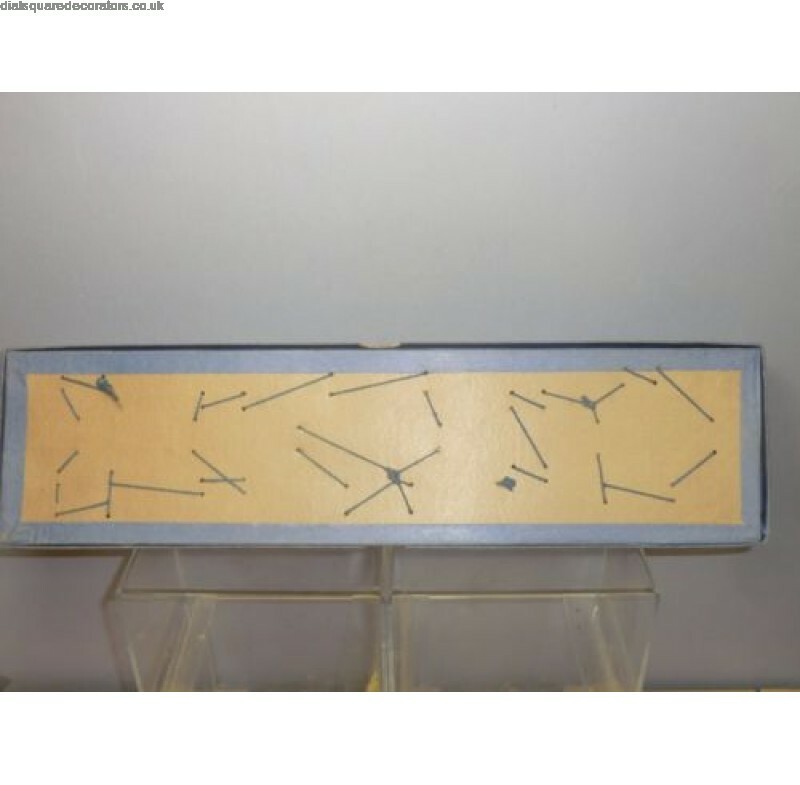 Does anyone have a photo of the underneath of a box where the stringing can be seen and if so was the same pattern used each time? Is only one string used which connects from 1 ship to another, or is each ship tied with its own piece of string? I also need the same information in relation to Set 51 - Famous Liners. Hi Chris, I hope can help a little bit by showing my examples. It is always difficult to guarantee that the cord and stringing found is original but I will try to comment. Firstly my no. 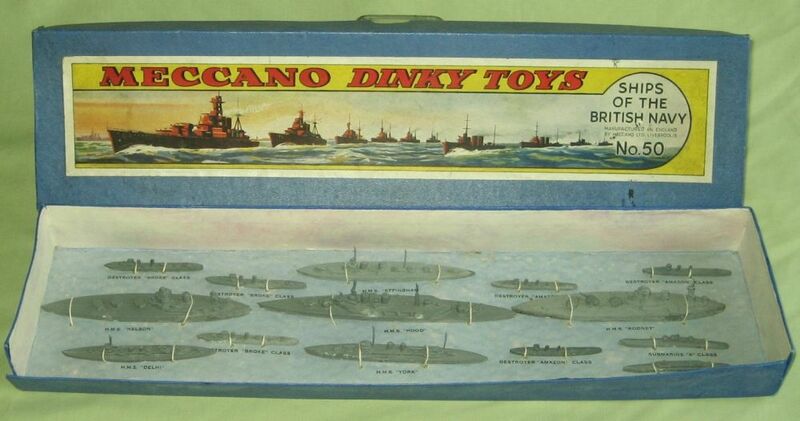 50 Ships of the British Navy. I am completely certain that neither string nor the stringing is original. The string does not have the looks of an old string and in fact it is not one string but many pairs of short strings. Even the way of stringing is not original, because I am convinced that knitting a pair of strings for each item in the set would be too much time consuming, so expensive, for efficient production. Secondly my no. 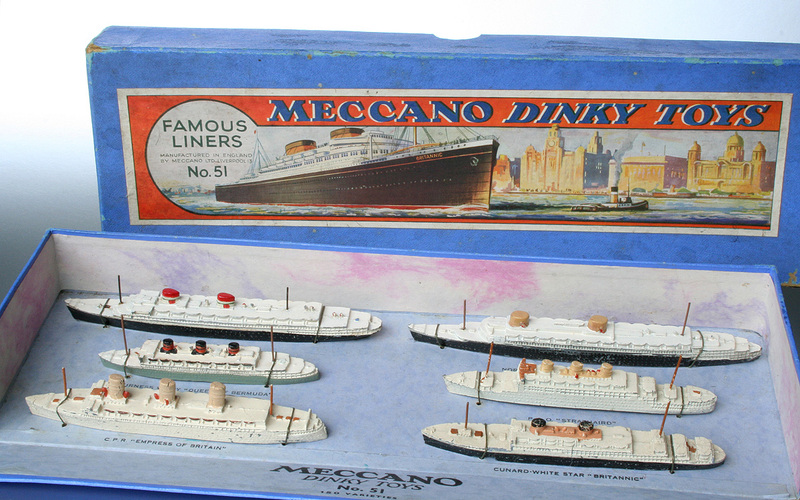 51 Famous Liners set. I am pretty certain that the string is original, it has obvious aging and has the same structure of the strings used in the Meccano factory. Moreover, the way of stringing also looks original. One can never guarantee that it has not been untied one or more times (I have a slight doubt if the Rex has always belonged to this very set) but it looks convincing and possibly it has always been like this after all. One can imagine that this kind of 'sewing' the whole set with one cord is a much quicker action than fixing every ship individually. Just a comment of mine ... The pictures below, of the sets and (details of) the respective stringings. Thank you for your comments and photos. I agree with your comments and will use your photo of the Set 51 to do the re-stringing of my set. 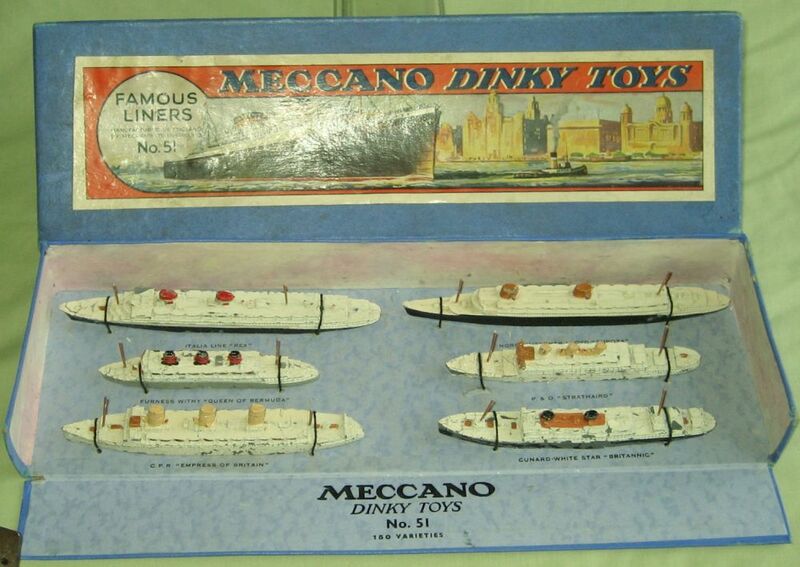 Here is my attempt to restring the two sets of Dinky ships. First the set 51, Famous LIners, and I followed the pattern you posted earlier. This is the Set 50 - Ships of the British Navy - for which I did not have a pattern , so I made my own stringing pattern. which seemed to work quite well. At least the ships are held securely in their box. Hi Chris, nice to see the result which looks quite good. You will be satisfied, no doubt. I, for me, am still waiting to find a credible authentic piece of string for restringing my British Navy set, and I also intend to replace some poor examples of the contents before doing so. It's been a while since this thread was current but I came across this photo today for the number 50 set.